Meeting your friend in an unfamiliar neighborhood and not sure what good food is in the area? Or even what kind of restaurants there are? 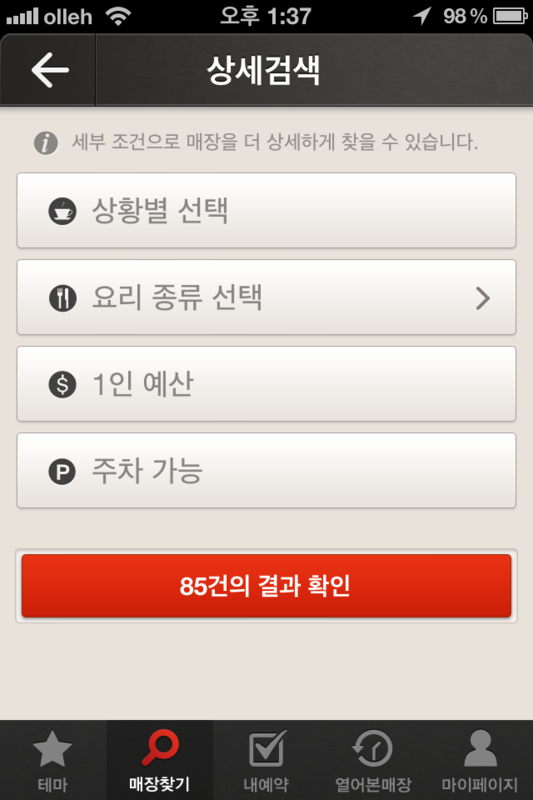 Need to make a restaurant reservation but hate to speak Korean on the phone? 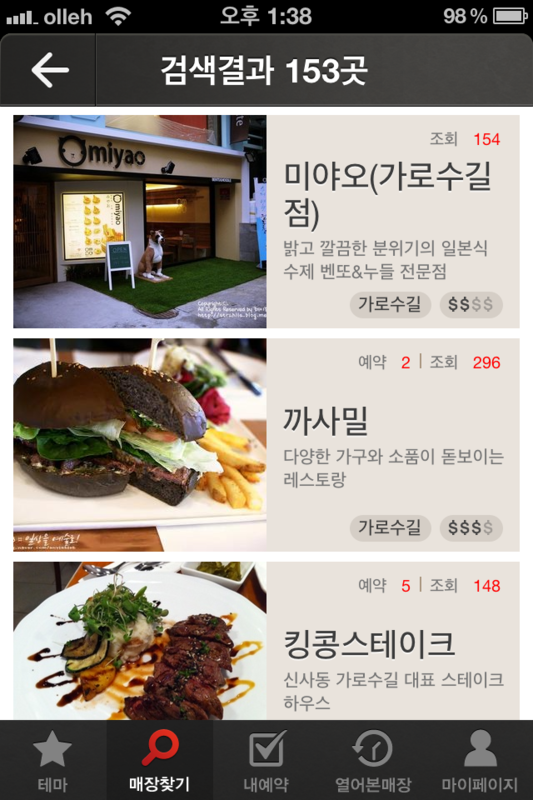 Simply want to browse through restaurants in Korea? 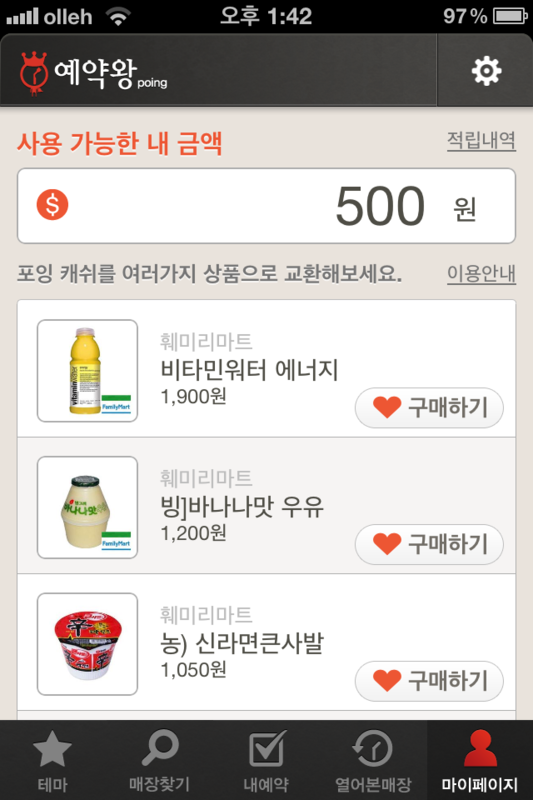 The list can go on for quite a bit, but Poing, a newly released Korean app, tries to make dining an even more wonderful experience and solves quite a number of dining problems at one go! First, do a search according to area, time and group size! More details here! I like how the app factors in budget and parking. Although I don’t drive, I have seen how much a hassle it is for my Korean friends to find parking space sometimes. Time to browse through the list!!! The photos are really nice and I love how they introduce the restaurant too. Even without going into the detailed screen, you can already get a sense of the popularity of the restaurant, the budget etc. THE BEST PART? 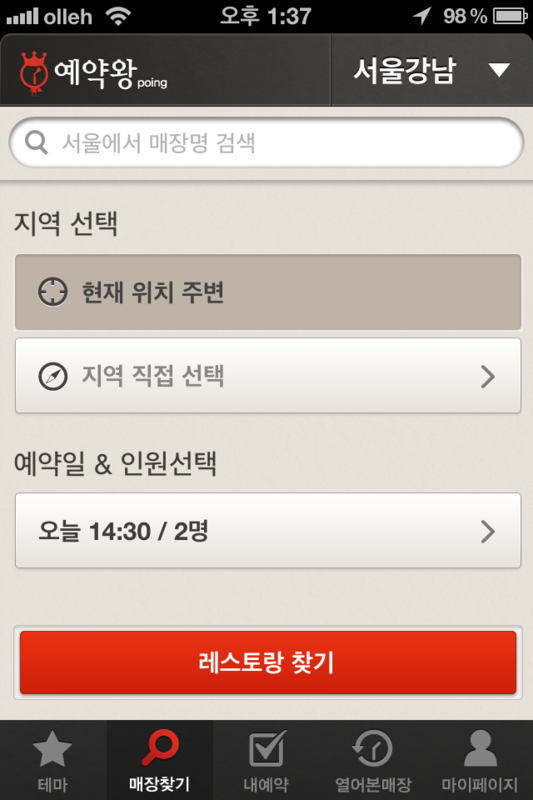 It lets you send the info to your friends via Facebook or Kakaotalk or via SMS!!!! They seriously think of everything. It’s annoying to find a restaurant and then having to tell your friends all the details etc. And it’s not that nice to tell the person, ‘Go Google it’. I was tempted to try it out, so I spammed my friend. O.o And they are pretty smart to include a link to their app, more people will download it that way. I do wish I can kinda edit the message before sending it out though. But not a major deal. 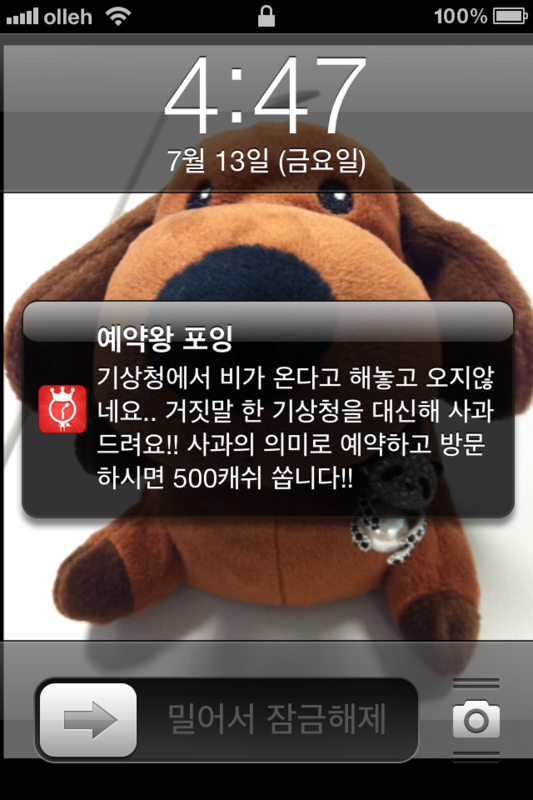 You earn 500 won of virtual cash once you sign up and apparently you can earn each time you make a reservation etc. And you can then exchange it for things in the family mart!!!!!! 😀 😀 VITAMIN WATER. If you want to know more about how the app works, click here! I’m one of those people who says ‘anything’ and refuses to give suggestions on where to eat. And I hate calling restaurants for reservations. If you (or your friend) is like me, best to download the app and make your lives and lunch/dinner dates easier! It is a perfect introduction about the Reservation King 🙂 Thank u !! You’re welcome ^^ have an awesome week ahead! 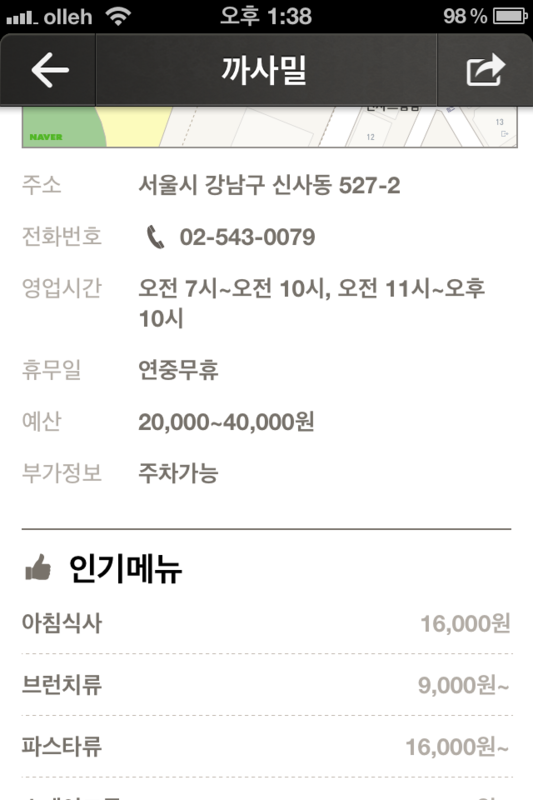 and Come to our blog http://blog.naver.com/ablarcompany !! Yes I am also a great fan of this app! I am especially greatly fascinated by the simple and intuitive user interface. Really wish I could see this not only in korea but also in the US and other countries. 😀 yeah it’s a neat app! it’s really new! xD do try it out! Me wants smartphone! ㅠㅠ I swear, when I go back to Korea I will see to it I’ll have a smartphone!